APS Metal Industries was established in 1986 and currently operates out of a 30,000 square foot facility in Pickering, Ontario. APS operates two shifts daily, which enables us the flexibility to meet customer requirements for quick delivery. Our company has built a reputation for customer satisfaction and we are committed to continuous improvement in pre-production planning and high performance manufacturing. We are equipped with the latest technology and qualified personnel to meet the needs of our customer's fabrication and laser cutting requirements. Our production capabilities include complete metal fabrication from raw material to finished parts. 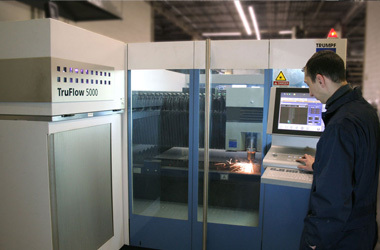 We provide precise and versatile laser cutting up to 3/8" aluminium, 1" mild steel and 3/4" stainless steel. 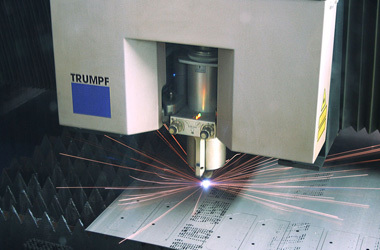 Our Trumpf 4000 and 5000 watt lasers provide the precision parts required for further fabrication. Dedicated software ensures maximum yield of material. 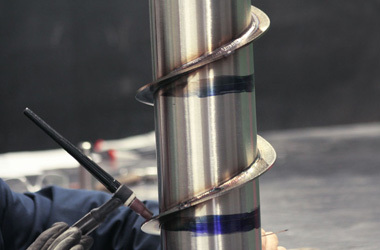 Equipped with numerous welding stations, a complete machine shop, nine brake presses, hardware inserters, shearing and notching capabilities, single punch presses, and a well equipped clean-up area complete with deburring machinery, we provide a competitive edge in producing parts that meet customer specifications and time constraints. Lead times can be tailored to suit urgent requirements. Please do not hesitate to contact us with your fabrication requirements.